Yesterday was the release of the Stampin’ Up! 2015 Holiday Catalog. Already a hit in my book. I know, I know – fall holidays are the theme and the most important aspect of the catalog, but there are three very important product releases in the Holiday Catalog that are crafting gold to my crafting friends. Definitely must haves. #1 – Stampin’ Up! Basic Black Archival Ink Pad, page 19 (Item #140931, $7). 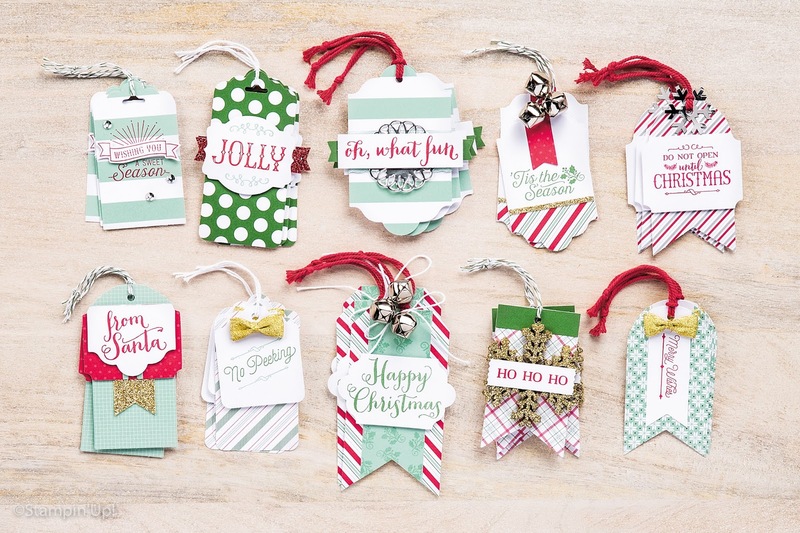 There are 51 pages of absolutely marvelous products, stamp bundles, and holiday project ideas. Tucked in the bottom left corner of page 19 – there it is. Stampin’ Up! has developed a permanent black ink. 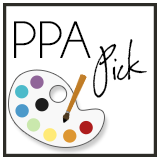 Perfect for watercoloring, which seems like a fad that is going to last for quite a while. #2 – Precision Base Plate, page 14 (Item #139684, $25). With all the intricately detailed thinlits, this is a must have. This is a steel plate for use with your Big Shot™ that will improve the cuts of the more detailed dies. The “sandwich” recipe: Multipurpose Platform, Precision Base Plate, single sheet of cardstock, die, and Standard Cutting Pad. Not recommended for use with the “open” or border dies as the rigid plate may cause those dies to warp. 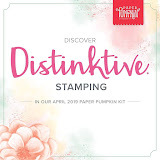 Check out the video Stampin’ Up! released on YouTube for more detailed instructions, tips and tricks. #3 – Fine-Tip Glue Pen, page 43 (Item #138309, $7). This is exactly what was needed for adhering small embellishments, like sequins or the images created with the intricate word die cuts, the butterflies, etc. The cap has a needle-like center that inserts into the tip of glue bottle that will prevent clogging.. 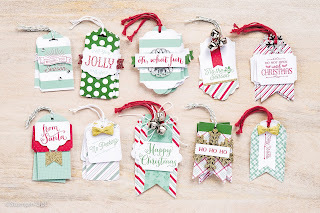 Check out the video Stampin’ Up! release about using the Fine-Tip Glue Pen and properly capping the bottle. Over the next several weeks, I will showcase here some of the stamp sets and oodles of bundles to help create any of your papercrafting holiday projects. Our first project will be the tags using the Oh, What Fun Stamp Set (Item #140386, $21) and Oh What Fun Tag Project Kit (Item #139602, $21) on page 5. See you at club this month! I cannot wait.